Sarus Humanitarian Aerospace is an initiative of the Sentinel Project, a Canadian non-profit using new technologies to address the most pressing humanitarian challenges of our time. It utilizes unmanned aerial vehicles and satellite imagery to assist humanitarian projects by providing new tools and perspectives to increase impact and efficiency. Practical Impact – Sarus and its parent organization, the Sentinel Project, have been advocating for and working towards practical deployments of unmanned aerial systems (UAS) for five years. 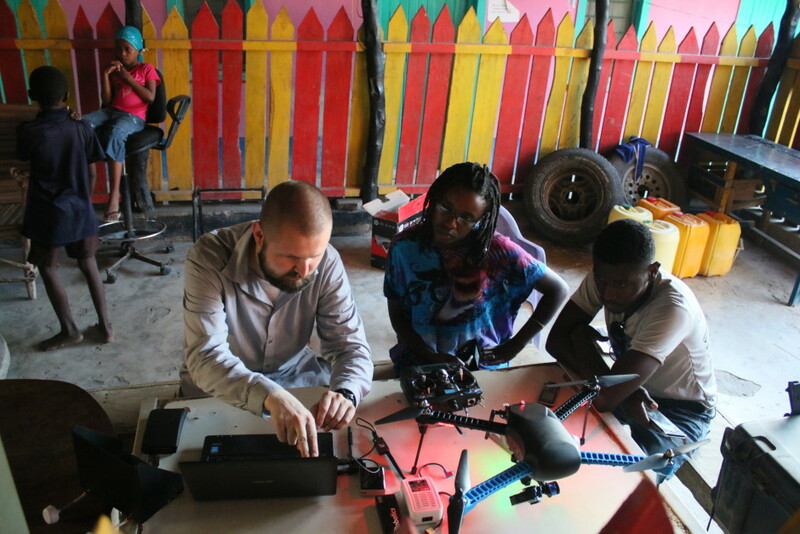 Our team has conducted familiarization and flight operations in several locations within East Africa and work to develop new technological tools to expand the boundaries of UAS technology in development and humanitarian service. Research Sarus Humanitarian Aerospace and the Sentinel Project have been conducting ongoing research into the impacts and value of unmanned aerial systems in the humanitarian and development fields. Training As advocates for and early adopters of humanitarian aerospace technologies, the Sarus team has been on the forefront of unmanned aerial system in civilian service. We are constantly looking to partner with organizations and individuals who seem to implement UAS systems within their own countries and regions to advance the impact of these technologies.